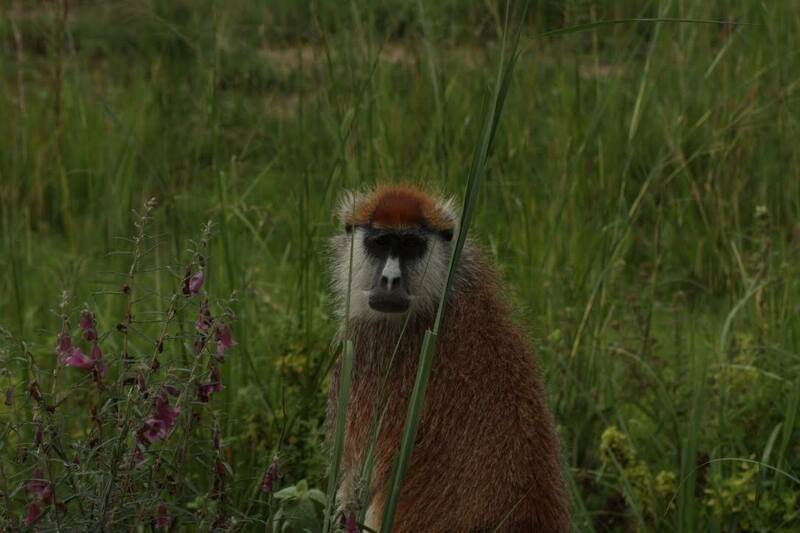 Searching through the jungles of Bwindi, we aim for some of the most scarce animals on Earth. 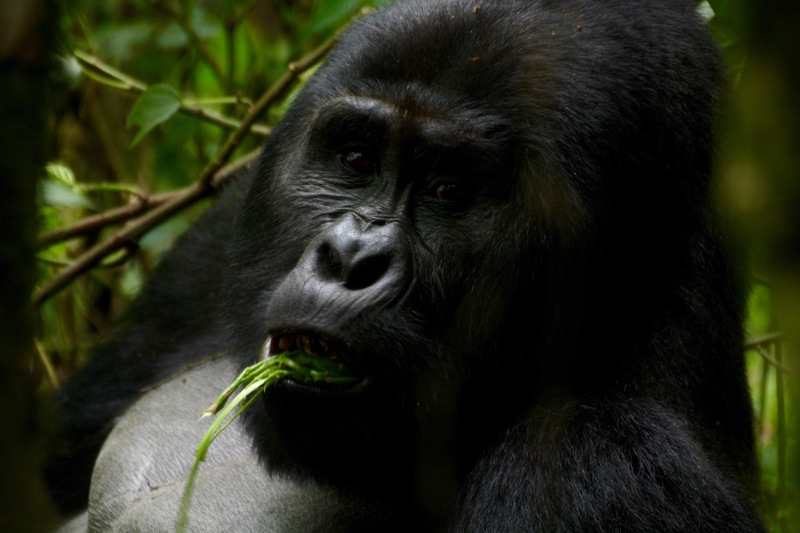 The critically endangered Mountain Gorillas are not like the typical safari. Feelings go numb, and you are speechless at first sight. It is the highlight of our time in Africa. 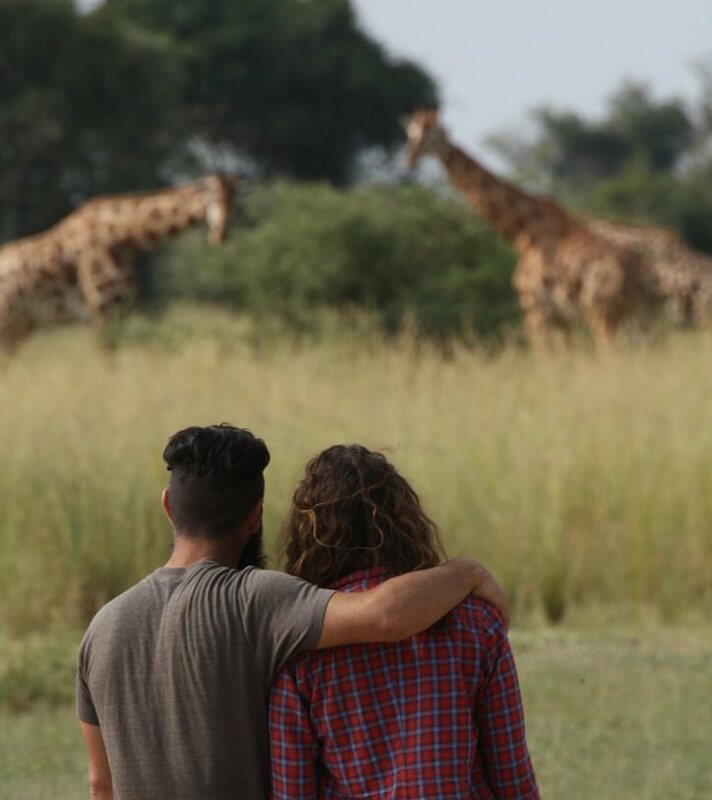 After the Gorilla experience, we go on Safari to two National Parks. 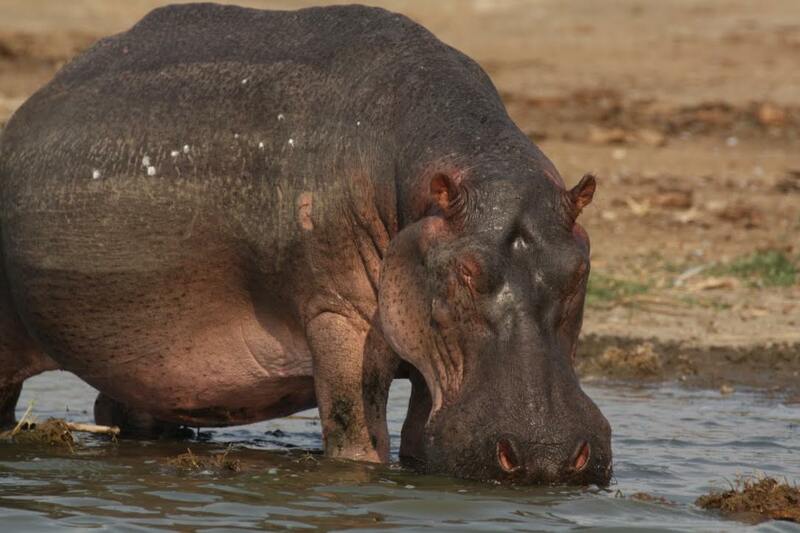 While sitting at the edge of our seat on a boat, we patiently wait for two hippos to go at it. Other hippos are grazing on land, with elephants drinking in the distance. Crocodiles large enough to eat a small buffalo wait patiently. 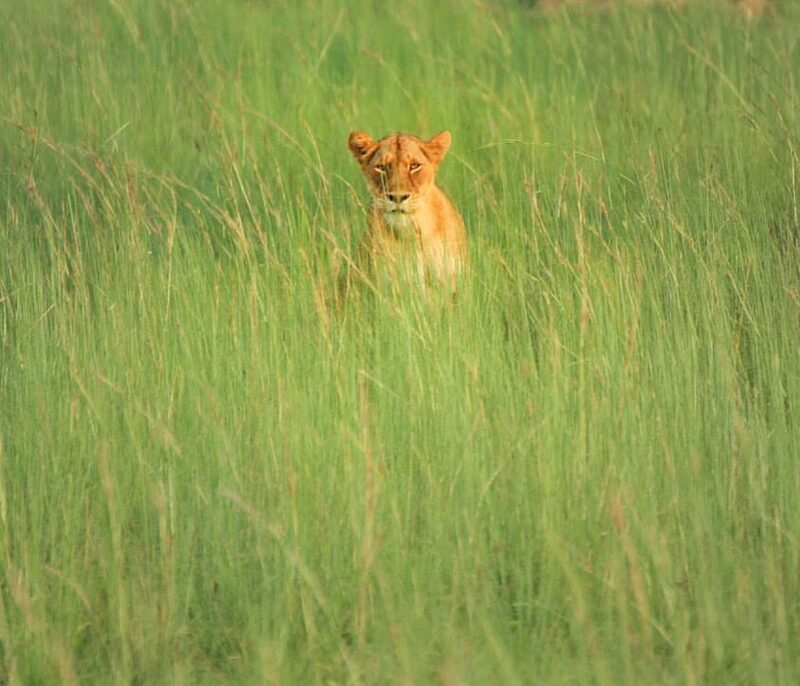 Lions out in the prairie stalk, hunt, and eventually eat, where one can witness the full cycle on almost a daily basis. At Murchison Falls, aside from the spectacular safari, we hiked up to the top of the falls to feel the mist over our entire body. 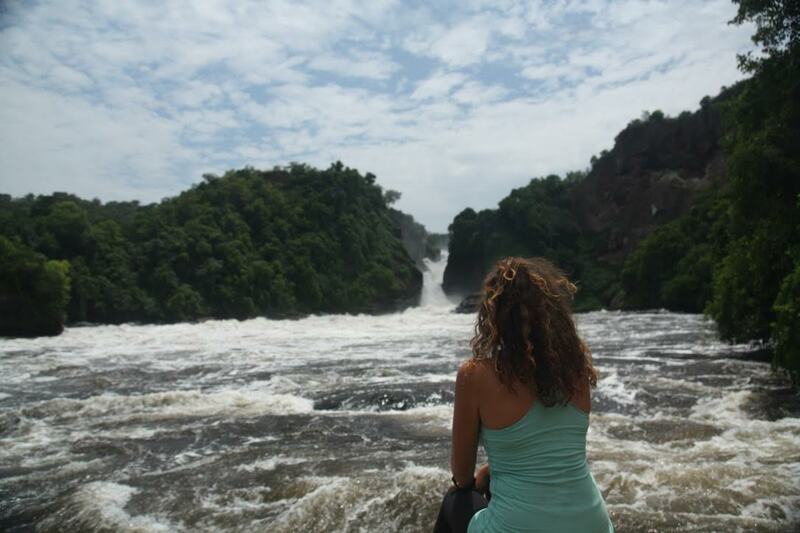 We saw the greatest waterfall on the Nile river. The power of the river is clear as it growls through the narrow section of land. After several days of safari, we went to relax at Mount Elgon. While we did not hike, one can hike up to the World’s largest Caldera. 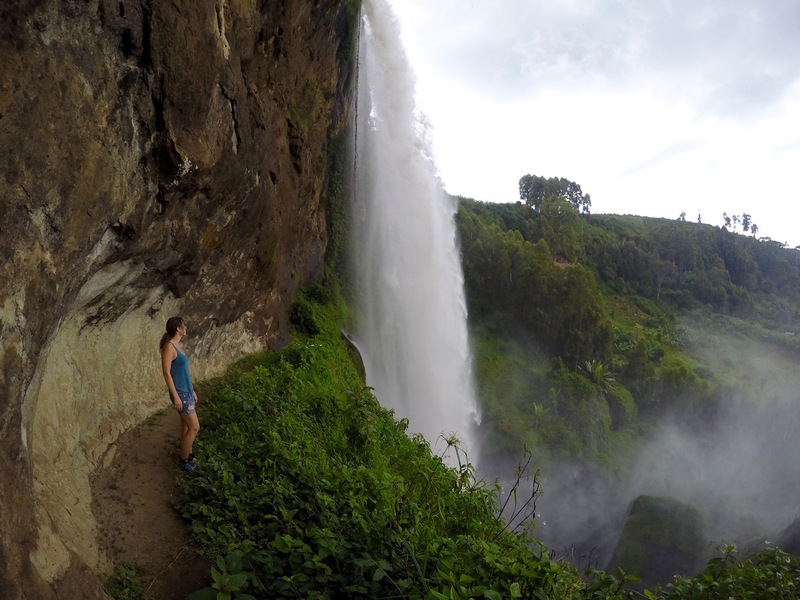 Nearby Sipi Falls is a wonderful set of three waterfalls, each very picturesque. Thinking back on our time while relaxing and sipping on some cold Nile Special, we realized we just enjoyed one of the best spots in Africa. 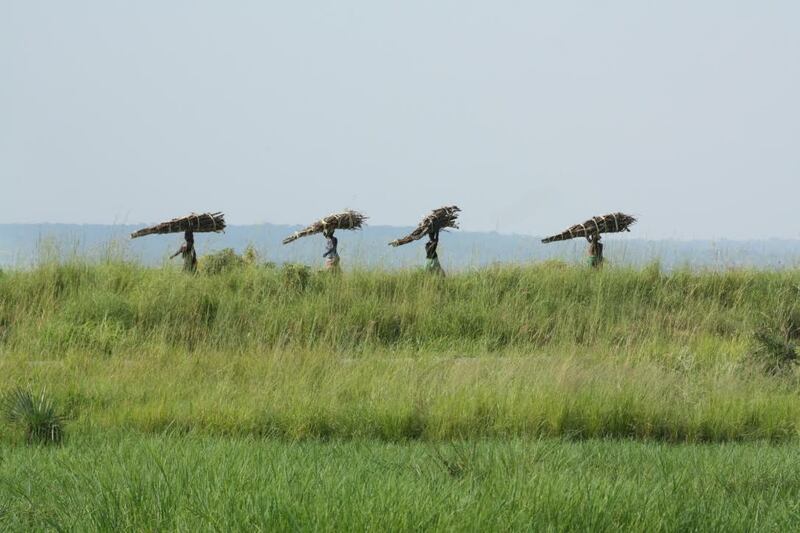 Welcome to the Pearl of Africa…Uganda. Uganda is less frequented by visitors than its East Africa neighbors. 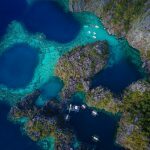 Sitting along the Eastern Volcanic Rift with some of the world’s largest and deepest lakes, Africa’s oldest rainforest, Africa’s tallest mountain range, and the source of the Nile River, Uganda is packed with things to do. Visit the Mountain Gorillas in Bwindi National Park, see tree-climbing lions in Queen Elizabeth National park, and see the Nile River’s largest waterfall as well as excellent safari at Murchison Falls National Park. Uganda is an excellent place to visit if you have an extended trip. It is travel-friendly and very safe. Locals are very nice, and we found Uganda to have some of the best local food in Africa. With limited time, don’t exclude Uganda albeit not having a major hub, it is just a quick flight from Nairobi. Uganda should be high on anyone’s list to go, it’s a special place that many do not visit, but has some of the best landscape of all of Africa. Should You Come to Uganda? At the time of writing, the Uganda Shilling was worth 3,374 to $1. While Shillings are the National currency, all parks and several areas for lodging only accept USD. Rarely in Uganda does anyone accept credit cards, in particular, no one at any of the National Parks. Park fees also must be paid in cash. ATM’s are not readily available and only in bigger towns. Availability of supermarkets is primarily in the bigger towns. Small villages throughout the countryside will only have small markets with little available. What seems like the national dish of Uganda is the rolex. 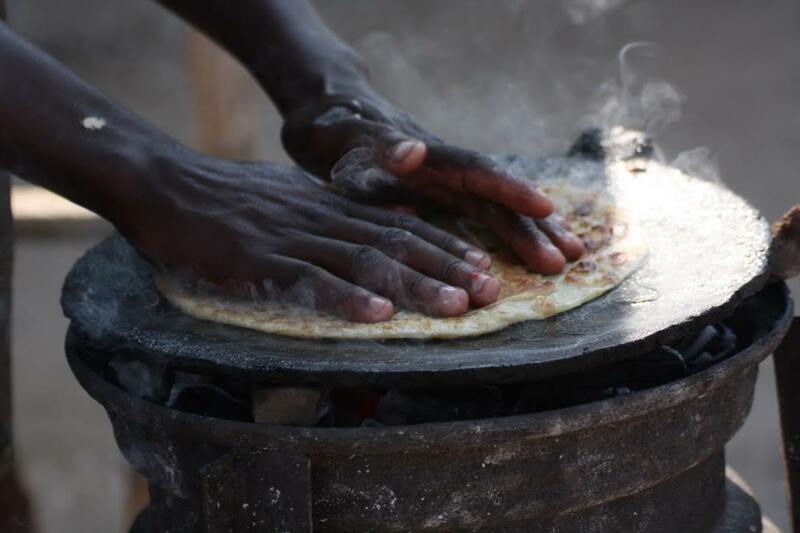 Not a watch, but hand-rolled chapati cooked street side with an omelette and tomato rolled inside is widely available. Chapati is 500 shillings and each egg is 500 shillings. Hire a private 4×4 van for $80 per day to get a fun packed 10 to 12 days in Uganda. With more time, you can arrange for transport or take the public matatu bus. 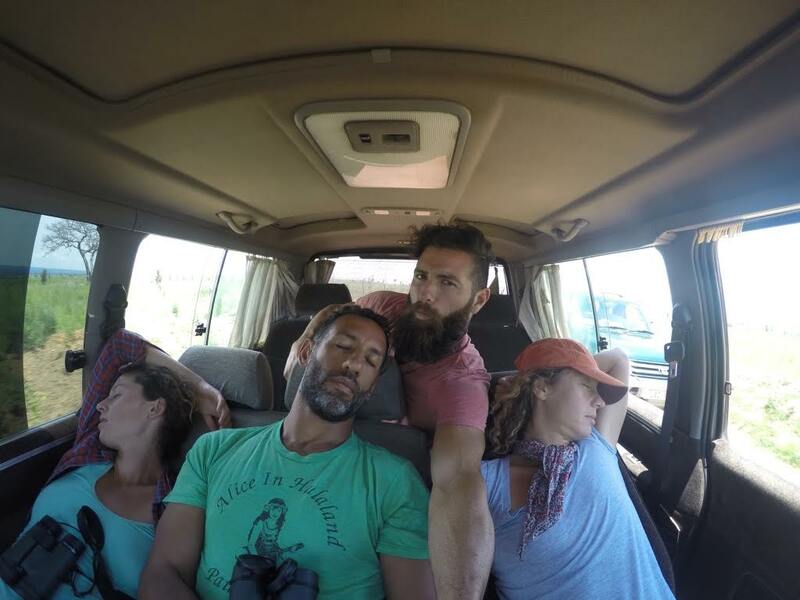 Hire with Bwindi Backpackers for a van with a large sunroof (not a pop top). Price excludes fuel and vehicle and driver entry to National Parks. 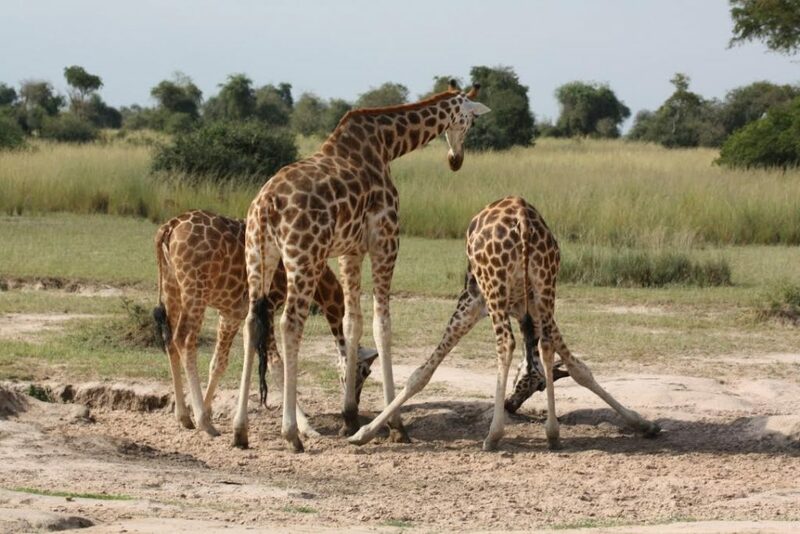 If you are coming from Kenya to Uganda overland, it may make sense to do this itinerary in reverse, however, this makes the most sense when coming from Kampala or from Rwanda. Check out the Gorilla’s in Bwindi Impenetrable Forest National Park, Lake Bunyoni, Queen Elizabeth for an epic river cruise, Murchison Falls for game drives and the Nile River, before a last stop to Mount Elgon and Sipi Falls. 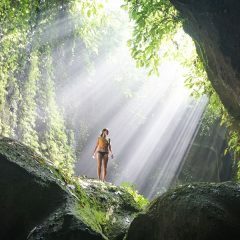 You will have an all around vacation filled with adventure. The Gorillas will be the highlight of the trip, but also enjoy some top-notch Safari. 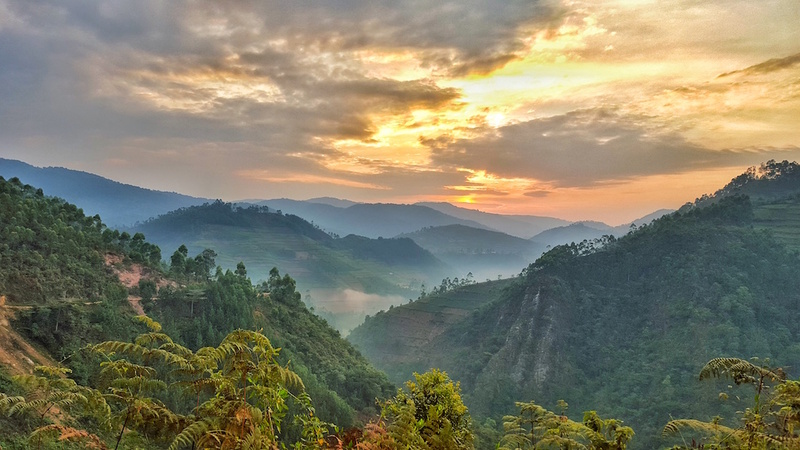 Bwindi is Africa’s oldest rain forest, one of the few surviving the Ice Age. Sitting on the Congo basin, Bwindi is one of four parks that are home to the endangered Mountain Gorilla’s. 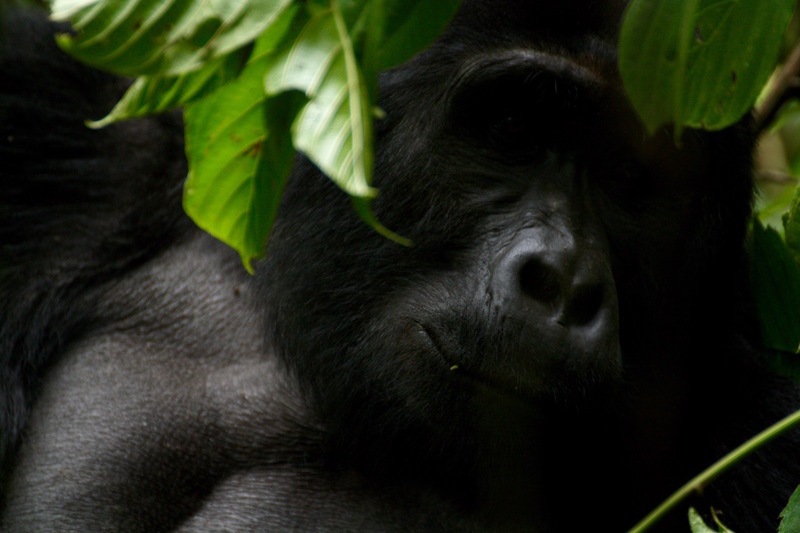 While numbers are increasing, only 880 are left in the wild, and Bwindi is home to half of them. Priced lower than Rwanda, but more than Congo, it is the perfect place to come see the Mountain Gorilla’s. Gorilla Trekking permits cost $600 US per person in Uganda. Rwanda is by far the most expensive at $1,500 per person, and the Congo is the cheapest at $400. 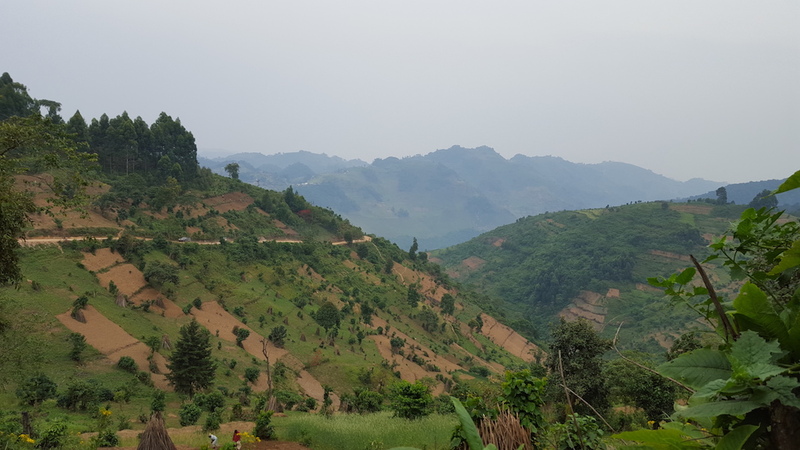 Bwindi is an excellent choice, where there are several other activities, including nature hikes, chimp treks, or visit the Batwa Pygmies ($20). 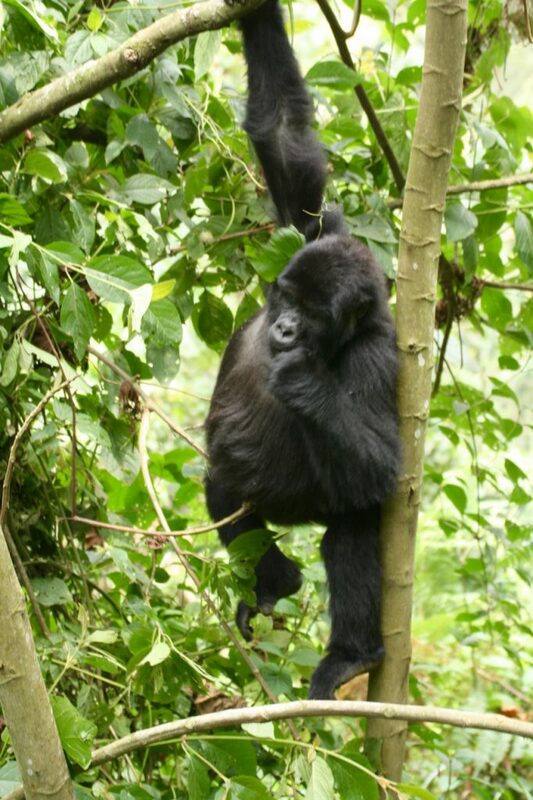 Bwindi Backpackers is a good option for visiting Bwindi. 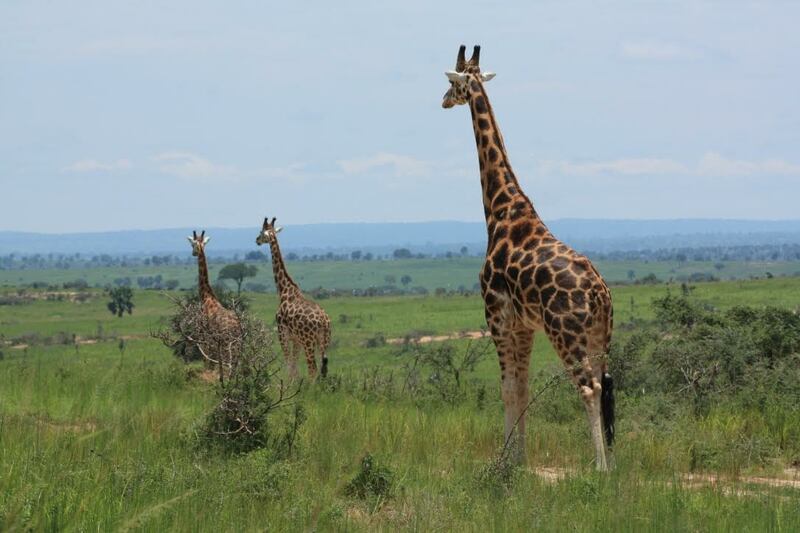 They help not just with arranging the permits, but they also offer transportation and vehicle hires for a Uganda tour. Camping is $10 per person, and rooms start at $25 with cottages for $60 per person. Dorms are also available from $15 to $20. Meal plans cost $25 per person, or you can eat a la carte. Stay 2 nights with a meal plan for a one way transfer included to or from Kigali. 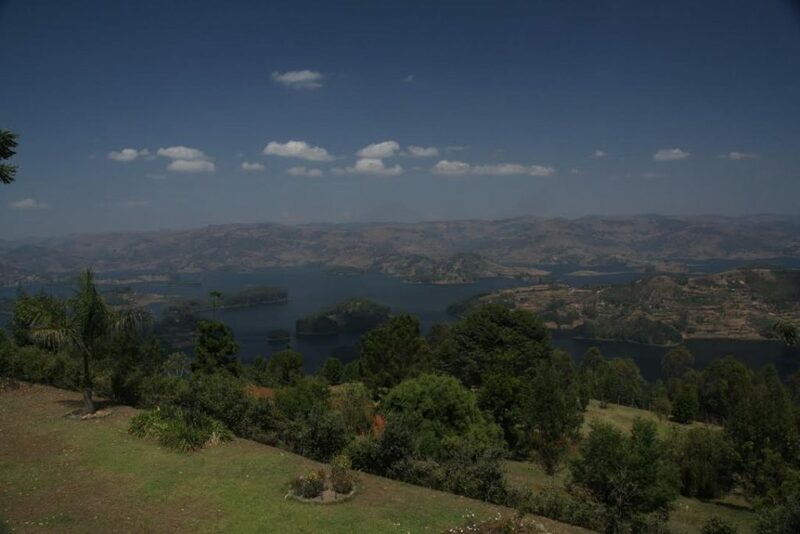 One of Africa’s deepest lakes, this lake is very scenic and dotted with many islands. Surrounded by rolling hills, it is a wonderful stop to relax for a day. Make sure to drive up to the top of the hillside for excellent views. One of only two lakes that claims to not have bilzharia (however there are some reported cases from 2012), you can swim, rent a kayak, or hire a boat tour around the lake. Stay at Overland Resort which has rooms from $35, very cute lakeside tents for $40 and cottages for $60. Camping is $8. Enjoy some excellent meals that are well sized portions as well. Queen Elizabeth is a large game Reserve that during the 70’s was a premier park in Africa filled with animals, including the Big Five. During the 1980’s many animals were killed, especially elephants and rhinos. 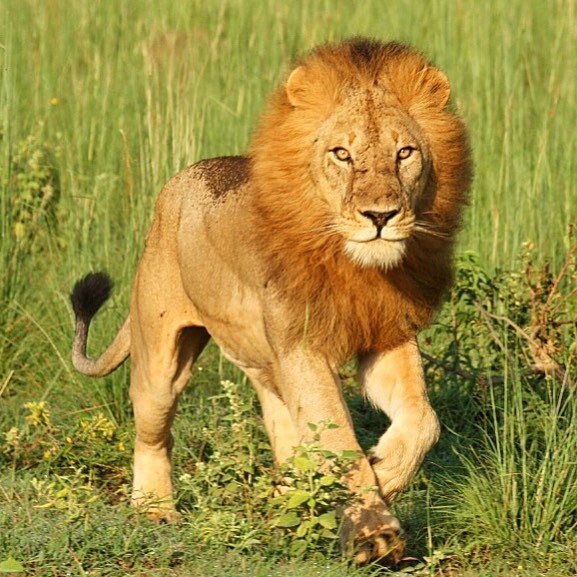 There are two sections of the park, the Southern section of Ishasha with the famous tree climbing lions and the Northern section with game drives and the river cruise. The tree climbing lions at Ishasha and the river cruise are the highlights of the park. Hire a guide for $20 for the tree climbing lions. 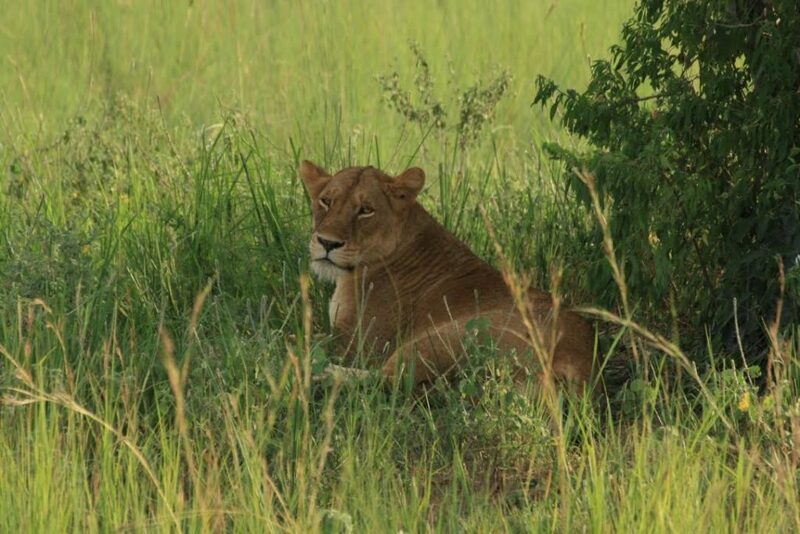 Game drives concentrate around the Kasenyi gate and the royal circuit where you will see some elephants, Ugandan kob, antelope, buffalo and other gazing animals while searching for Lions. On occasion, you can spot leopards. Kazinga Channel boat cruise – This 2 hour cruise with Mweya Safari Lodge (Cost: $28 per person) was the highlight of QE and should be done in the afternoon around 4PM. Salt Mine at Katwe village – Stop here for a nice view of the crater where they still mine salt today using traditional methods, along with some craft stores. Crater loop of the Explosion Craters is a scenic drive that starts at the Main gate of Kabatoro. This is How we Safari HAHA! 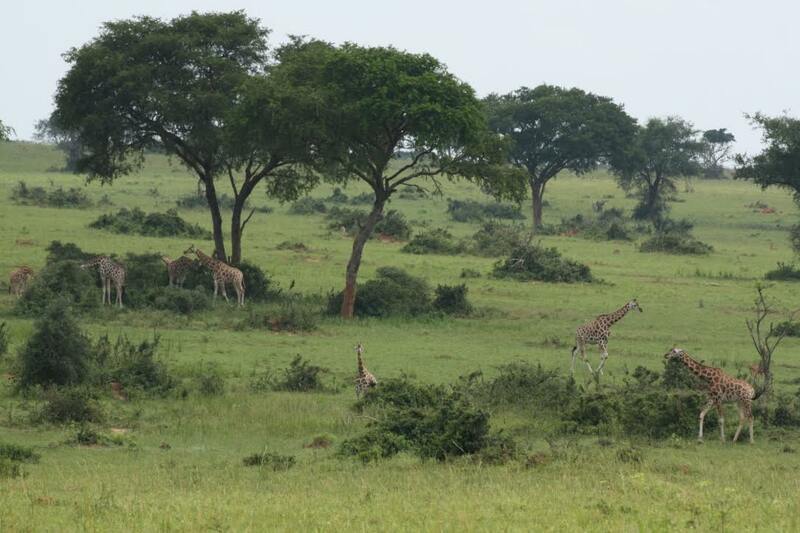 Uganda’s largest National Park and possibly one of Africa’s top parks during the 1960’s. 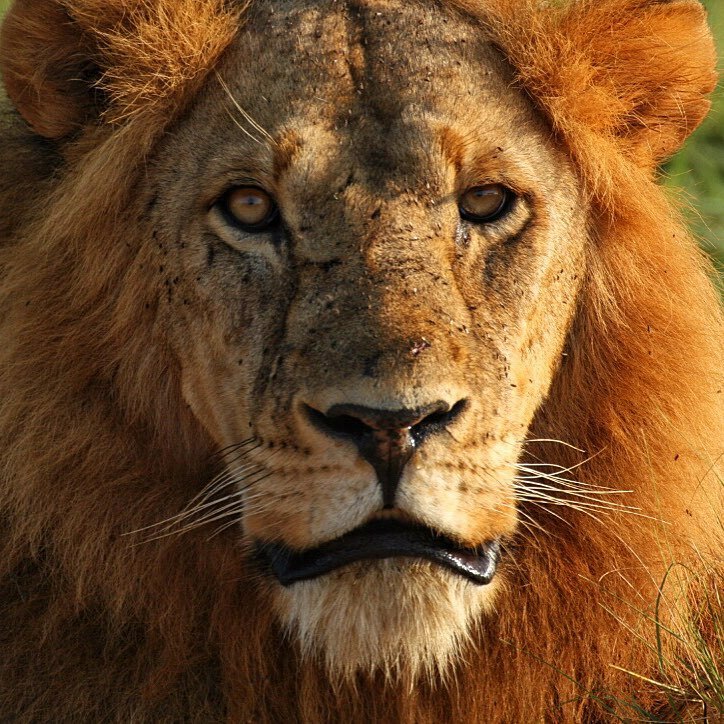 The park had some of the highest concentrations of animals in Africa. Troops and poachers nearly killed all of the wildlife here during the 1980’s except for grazing antelope. Wildlife has recovered fast, as this is on its way to becoming one of Africa’s top parks once again. Rhino’s are expected to be reintroduced to Murchison again, having this the only place in Uganda with the big five. 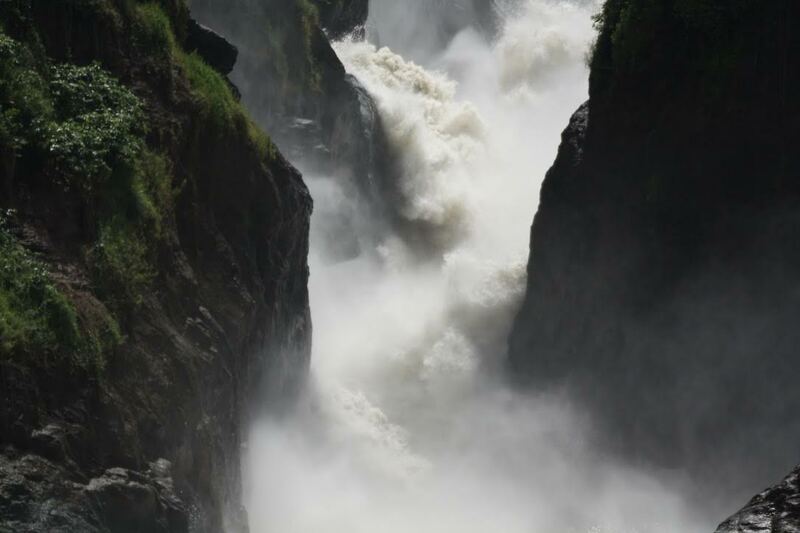 In addition to the wonderful game drives where you can witness herds of elephants, buffaloes, giraffes, lions, hippos, Ugandan Kob, and waterbucks, the raging falls of Murchison is the largest along the Nile River. Staying outside of the national park is cheaper than staying inside. Also staying inside requires payment to the National Park and starts the 24-hour period. Because we arrived at night, it made sense to stay outside of the park as to not waste any of our 24-hour period. 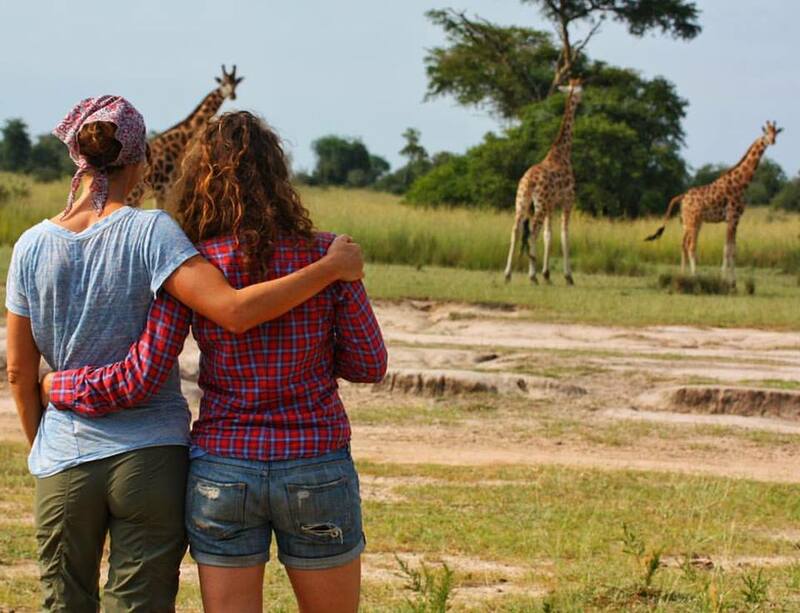 Stay at Yebo Safari Camp where camping is $10 per person, and the tented camps are $25 per person. Banda’s with full board are $40. Meals cost $10 but are very large and delicious. Note that if you are staying outside the park, the main entrance from the Masindi gate requires you to pay to get to the “outside the park” establishments. Make sure to drive around the park to Lake Albert and through Bulisa to avoid paying park fee’s. Stay at Red Chili Rest Camp, a wonderful and budget stay, although comes with luxury views, very good food, and great customer service. 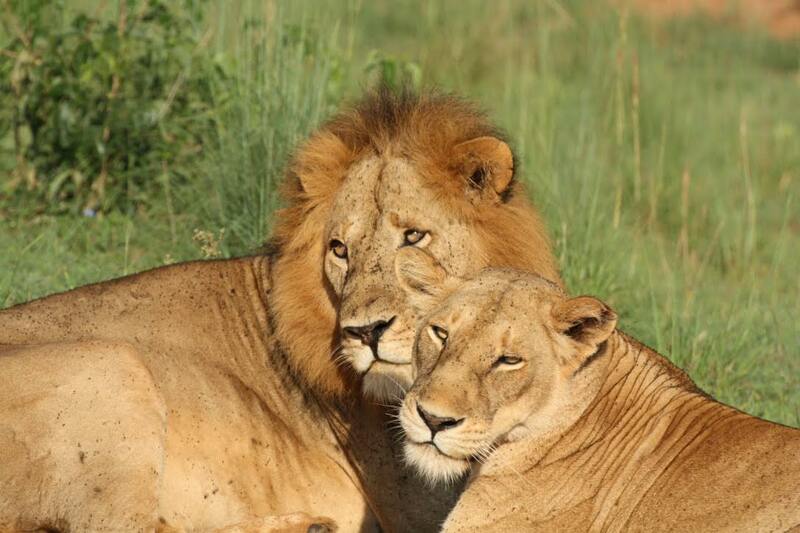 They are located one minute from the Paraa Ferry for easy access to game drives in the morning. Camping costs $7, tented camps with shared baths cost $44, small banda with shared baths cost $38, and the large banda with ensuite cost $55. Game drives are the main activity in Murchison. Most of the accommodation is on the south side of the river, besides the Paraa Safari Lodge. The game drives, however, are on the north side of the river. You must take a ferry crossing. It is best to arrive at 6:30am to make sure you get on the first 7AM ferry. You can hire a guide for 4 hour periods for $20 at the entry on the north side of the ferry crossing. Take a scenic boat cruise from the ferry crossing to the bottom of the falls. You will see animals gathering by the river’s edge and ultimately taken to the Murchison Falls. The tour takes in total about 4 hours. Cost is $32 per person and leaves around 2 or 3 pm. Drive 30km from Paraa to the top of the falls on the South side of the river. You can take a short walk to the top of the falls for free. To continue on the trail to where there are much better views, it costs $15 per person. Ferries are at 7am, 9am, 11am, 12pm, 2pm, 4pm, 6pm, and 7pm. Budadiri is a small village that is a great place to stay in the Mount Elgon region. Many hikes, including the summit hike, starts just a few kilometers from Budadiri, and the village is big enough to get some basic groceries or lunch out if you need. Sipi Falls is about a 45 minute drive by boda boda (moto-taxi) through the beautiful countryside of Uganda. Roses Place is a great option, where rooms cost 60k shillings but a very large breakfast and dinner are included. Mount Elgon Trek: There are several routes up Mount Elgon, including the popular but steepest Sasa Route starting in Budadiri (3-4 days), a Sipi Trail (4-6 days), and the Piswa Trail (7 days). 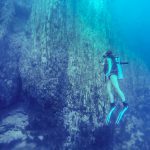 Cost is $75 per day which includes entry fees and mandatory guide fees. Price excludes any gear (tent) and costs for a porter (~$17/day). 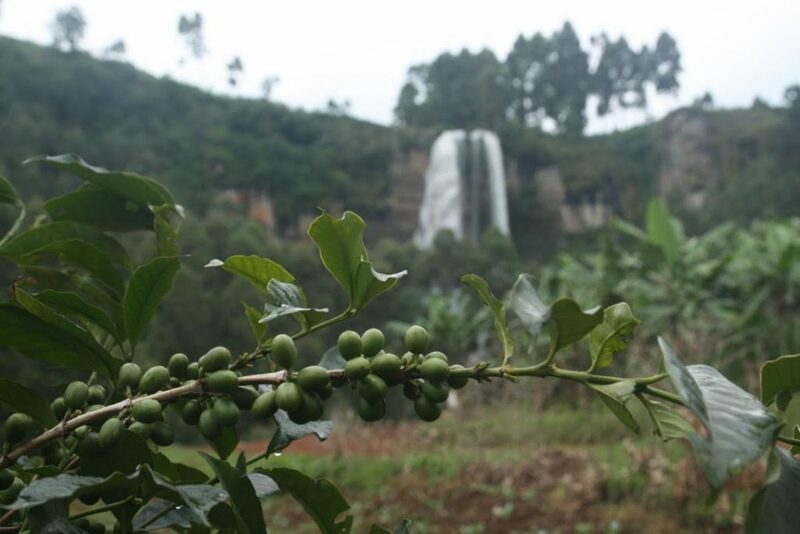 Sipi Falls Tour: Sipi Falls is a 45 minute drive by Boda Boda, where you can hire for the day with the driver for 40k shillings. At Sipi you can hire a guide and decide on a walk to the falls from 35k to 55k shillings depending on the length of the hike. You also can go to each falls on your own where they will charge you at each stop, but for around a total of 25k. Total cost between 65K and 95K Shillings ($19-$28). Uganda was one of our favorite countries in Africa, and in particular, our favorite in East Africa. 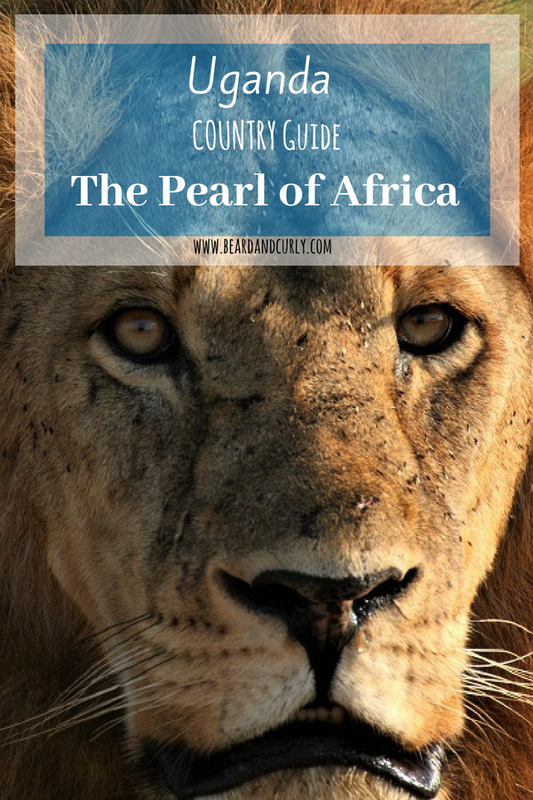 East Africa is an expensive place to visit, especially going on safari in Kenya and Tanzania. 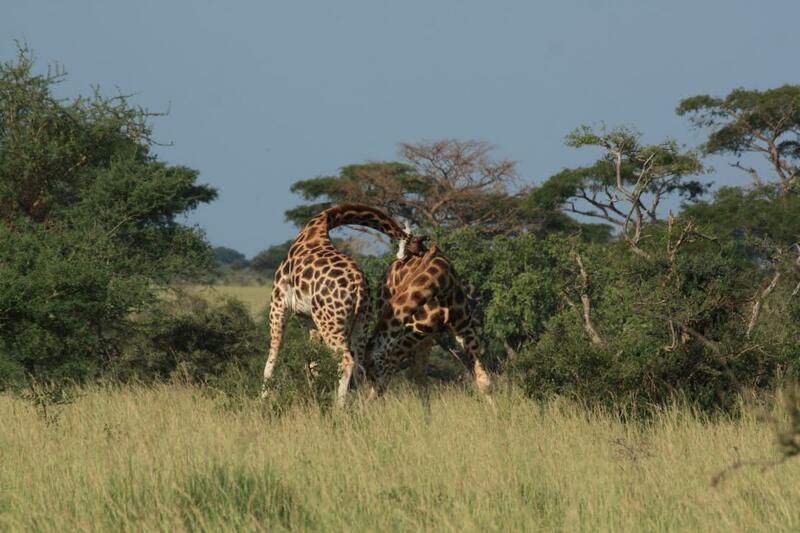 While not cheap, safaris are more affordable in Uganda and offer incredible landscapes. Overall, the safari’s were some of the best in Africa. The culture is also really great in Uganda. The people are very welcoming and friendly, a vibe we did not always get in other parts of East Africa. We also really enjoyed the food, with some of the best in the region.